International business is known to be collective commercial transactions whether it is private and governmental, sales, investments, logistics, and transportation and occurs between parties of two or many different countries. Or it refers to all the business activities which have cross border transactions of goods and resources. Below are mentioned some useful blogs as with respect to International Business. Global Edge: Developed by International Business Center at Michigan State University (IBC) it is global knowledge portal that connects international business professionals to share wealth of information, insights and learning resources on international business activities. It not only provides information on international business management moreover help in developing partnerships. 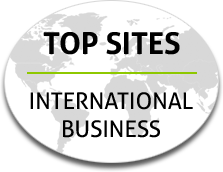 Border Buster: This blog was started and promoted by the Global Small Business Blog (GSBB) and was founded by Laurel Delaney to help out entrepreneurs and small business executives to expand their business internationally and globally. The blog is published by Laurel Delaney who is a successful entrepreneur, author, speaker and educator having experience of 20 years in global business. The Private Sector Development Blog: This blog is about news, resources and ideas of the entrepreneurs in fighting poverty. This blog presents the views of blogers not the World Bank group. The blog focuses on the development in private sector and is published by the World Bank Group’s Rapid Response knowledge service that specializes in policy advice on business environment reform and privatization policy in developing countries. Harvard Business Blog: This blog is published by Harvard University since 1994 as a non profit organization and activity. This blog aims to improve practice of management and having its impact on surrounding changing world. Business Opportunities Blog: The Business Opportunities Blog (BOB) is published by the Dynamis team as to keep one aware of and help one to make out the best and most of the available business opportunities. Here ideas and thoughts are given for starting a business locally and internationally and handling various problems that a person faces while doing a business. Customs and International Trade Law Blog: This blog about international trade practices and law is published by Peter Quinter who is the Chair of the Customs and International Trade Department and is Board Certified as an expert in International Law by the Florida Bar. He specializes in providing advice and representations to person and companies included in supply chain, like importers, exporters, custom brokers and freight forwarders. Trade Lawyers Blog: This blog is forum for popular and known respected international trade lawyers from around the world as they share their information about international trade developments. This blog is run by Cyndee Todgham Cherniak and Su Kohn Ross the known experts on International trade and business.